If conservative treatments and physical therapy haven’t improved your knee pain, it might be time for a total or partial knee replacement. At New York Bone & Joint Specialists, you can meet with one of the best knee replacement surgeons in NYC, Leon E. Popovitz, MD. With clinic locations in the New York City neighborhoods of the Upper East Side and Midtown West,there’s always an office nearby. Book your consultation online, or call your nearest office directly. Why do I need a knee replacement? A knee replacement may also be right for you if your knee injury or condition is starting to have a negative impact on your quality of life. What happens during a knee replacement surgery? As the name implies, a knee replacement surgery involves replacing damaged or injured components in your knee. Your procedure is tailored entirely to your specific needs and is typically performed while you’re under general anesthesia. As a nationally renowned expert in arthroscopic surgery, Dr. Popovitz specializes in minimally invasive knee replacement surgery. In most cases, he only needs to make a few small incisions where he can insert surgical tools. During your knee replacement procedure, Dr. Popovitz removes damaged cartilage and tissues from your femur (thigh bone) and tibia (shin bone). He carefully positions the metal implants to recreate the surfaces of your joint and cover your bones. The next step involves resurfacing the underside of your patella (kneecap). Once the components of your new knee joint are in place, Dr. Popovitz inserts a cushioning spacer before reconnecting the soft tissues that support the joint. Once everything is in proper position, he seals all incisions with sutures or surgical glue. How long does it take to recover after a knee replacement? Depending on your overall health and specific knee replacement surgery, Dr. Popovitz could request that you stay in the hospital for a few days. During this time — and once you get home, too — it’s important to perform passive exercises to improve mobility and blood flow to the area. You can usually start getting back into many of your regular light activities within about three to six weeks after surgery. Generally, by the three-month mark, you can return to most of your usual activities and some exercises. A full recovery from a knee replacement surgery can take anywhere from six to twelve months. 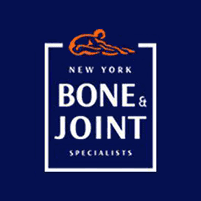 Book your appointment with the best knee replacement surgeons in NYC at New York Bone & Joint Specialists today. Request your evaluation online or over the phone.